I had the incredible opportunity to attend two events last week, MyPrintly and Disney Social Media Moms Celebration On Road Portland, and can’t wait to tell you about it! If you haven’t heard of Disney Social Media Moms Celebration (#DisneySMMC), it’s a yearly event held at either Disneyland or Walt Disney World. It’s also the event for bloggers and social media influencers. It’s shrouded in a bit of mystery. No one knows how you get invited to it, you just do. Basically, if you receive an invite, you’re doing something right! This year Disney chose three cities to have On the Road events; Portland, Austin and New York City. I filled out an interest form a few months back, and was elated to receive an invitation to Portland! I was certainly doing the happy dance! Now this isn’t my first On the Road event, you can read all about my Seattle adventures two years ago here. Because I had been to an On the Road event before, I was a bit more prepared this time around, but there were definitely some differences and extra pixie dust! This year there was an event before the event, MyPrintly. MyPrintly is a service by HP which provides free printable stationery and crafts. The crafts are designed by moms, and most are super-cute! You can read all about them in this previous blog post. Let the trip report begin! We packed our bags and left our home in Seattle early morning on Monday, June 8th. 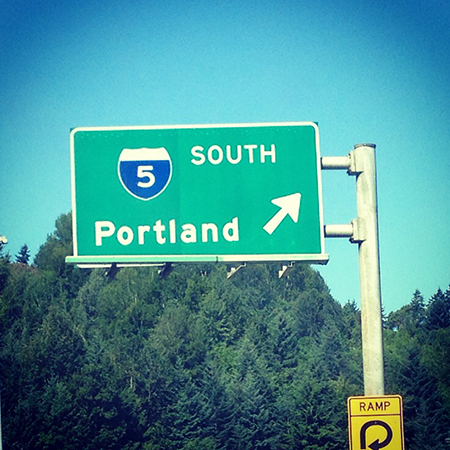 It’s roughly a 3-hour drive to Portland. 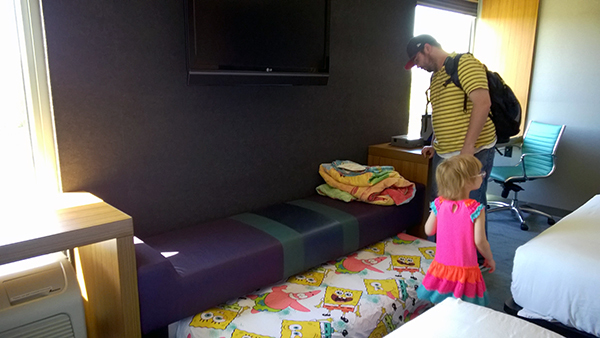 We had packed a cooler full of lunch meat and snacks to make this trip cost-effective. We had no problems making it on time. Both the MyPrintly and Disney Social Media Moms events were held at The DoubleTree Portland. But, it was a bit pricey. 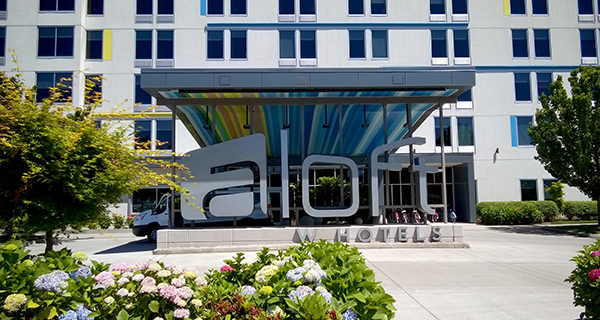 So, I booked a night at Aloft Portland Airport at Cascade Station for free on points. I love my SPG American Express! 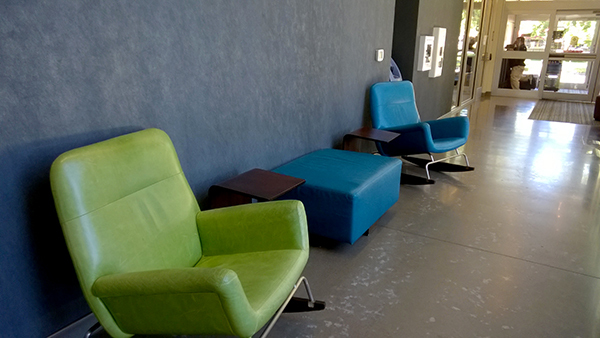 I really liked the trendy design of Aloft. Heck, Taylor Swift was playing in the elevator! 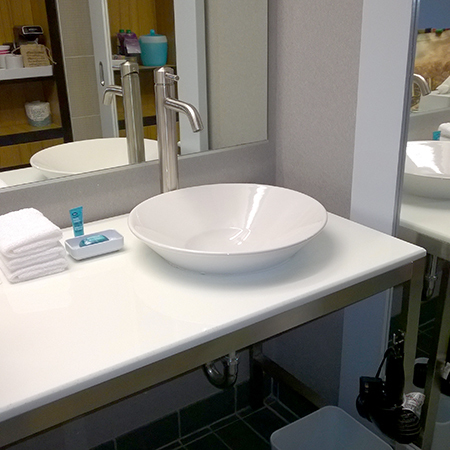 The Bliss toiletries were great, and the bed was comfortable. The indoor pool was also refreshing and clean. It is a basic pool, do be aware the depth starts at 3 feet, which was over Miss V’s head. If you have little ones consider bringing a life jacket so they can explore on their own. I didn’t get a clear shot of the pool, but check it out on the official hotel gallery. 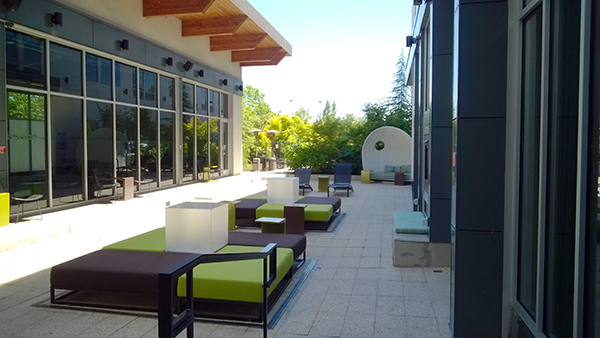 The proximity of Aloft to the light rail station, shopping, and dining is excellent. There’s an IHOP and Buffalo Wild Wings right next door. Across the street was a Ross, Marshall’s, Dress Barn, Best Buy, Red Robin, and Famous Dave’s. Ikea was just a stone’s throw, too. 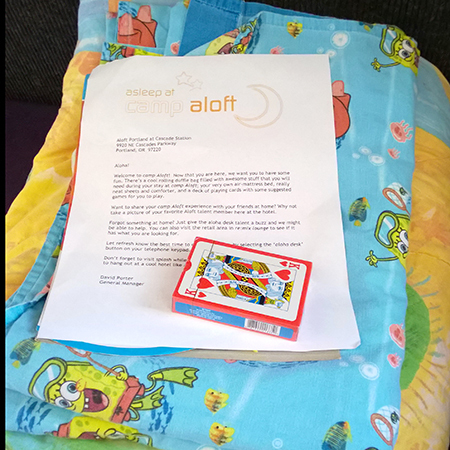 We participated in Camp Aloft, which provides a blow-up mattress and games for kids. The mattress was setup when we arrived, which was great. Included were a deck of cards and a suncatcher craft kit. Miss V dove right into the suncatcher project, but unfortunately it required glue and markers both of which weren’t included. So, we had suncatcher pieces all over our room. It was a good idea. Hubby did have some complaints. He had major work to do, and unfortunately the hotel Wifi signal was weak in our room, and it was difficult to stay on task. In addition, when he tried to call work, his calls kept dropping. I forgot to pack our AT&T Unite Mobile Hotspot and was definitely regretting that. 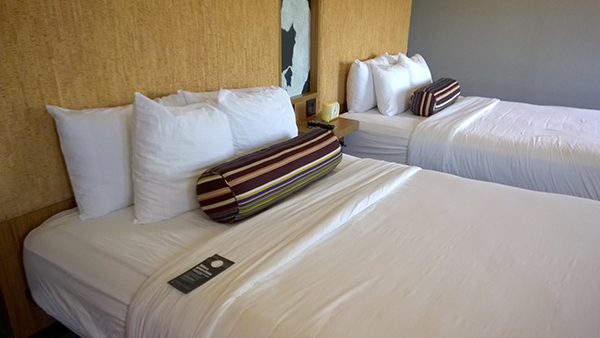 The biggest problem we encountered was actually the sound-proofing of the hotel. It’s super close to the airport. As in you could probably wave hello to airline passengers! We could definitely hear planes flying in at 1 am, 3:30 am, 5 am, and so on. I’m a fairly light sleeper and heard every one of those planes. If you sleep soundly however, this shouldn’t be a problem. If I had another conference in Portland I would think about booking again, with ear plugs this time! The lightrail was super convenient, and you couldn’t beat the restaurants and shopping within walking distance. Miss V loved the pool too. Get ready for the MyPrintly event in the next post! 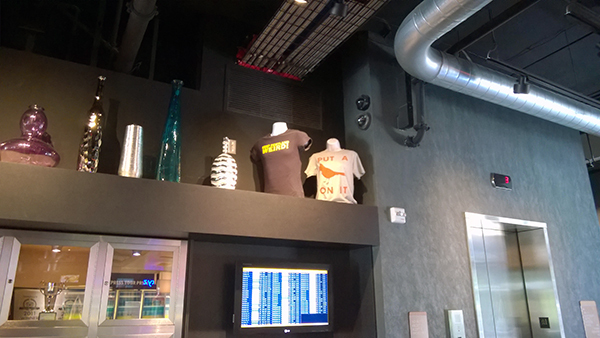 Up Next: Part 2 of our Adventures – Arriving at MyPrintly! 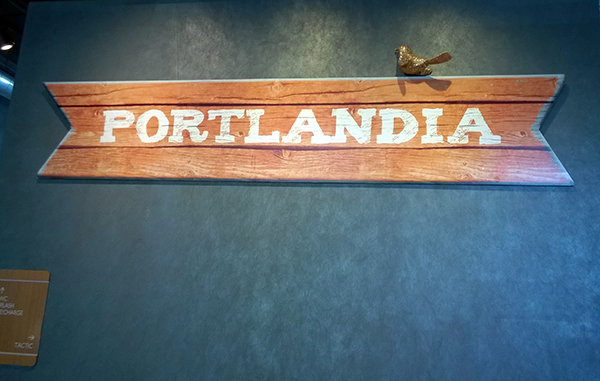 Disclosure: I was invited to events by Disney Social Media Moms Celebration On the Road and MyPrintly in Portland. Both were free to attend, and I am under no obligation to post. I did receive some event swag along the way. All opinions are most certainly my own.